Aggressive drive: Unitech Ltd’s MD Sanjay Chandra says NBFCs are less regulated, so, one can do more innovative financial products. The promoters of Unitech Ltd, India’s second largest listed real estate developer, are diversifying into financial services and plan to set up a non-banking finance company (NBFC) to sell home loans in one of the fastest growing real estate markets in Asia, cashing in on money made from the unprecedented growth in the sector. They are also in talks with international insurance firms to offer general insurance in India. Unitech has also applied for a licence to offer mobile telephony services. “We are working on the financial services business," Sanjay Chandra, managing director, Unitech, said. “We will provide services related to real estate finance, possibly mortgage finance. NBFCs are less regulated in some ways, so you can do more innovative financial products. We are looking at within a year to start the business. Initially, we would offer housing finance." NBFCs in the country are not bound by the same rules that apply to banks and are usually suppliers of loans and other credit facilities. Unitech, which started aggressively developing properties about 20 years ago, has gained from a three-year rally in real estate values in India, where property assets have nearly tripled. Commercial spaces in metros such as New Delhi and Mumbai rank among the most expensive in the world, rivalling Manhattan in the US. 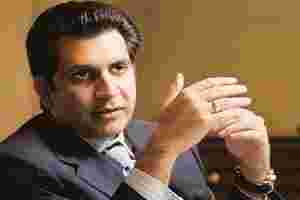 The company’s promoter and chairman Ramesh Chandra, ranked eighth in the richest Indians list by Forbes magazine in its most recent survey, is topped in his industry only by the promoters of DLF Ltd, India’s largest listed real estate firm. Ramesh Chandra’s wealth is estimated at $11.6 billion (Rs45,704 crore), according to Unitech. The financial services business will be conducted by the financial services arm of the Unitech Group, which is not a listed firm. It is also looking at providing structured financial products for the real estate sector, such as higher risk loans to real estate developers. “There are such products elsewhere in the world, but not available as financial tools India," Chandra said. “A lot of companies need mezzanine finance, so we could offer mezzanine finance to other real estate companies." Mezzanine finance is unsecured debt that is treated like equity on a company’s books. In the event of a default, the lender will have rights only to the equity of the firm or to fixed assets such as land that the company has not pledged to others. In a recent clampdown on lending to the real estate sector, the central bank has cautioned banks against rampant lending to real estate firms and the stock market regulator has tightened rules on share sales by developers. Unitech said it will also use its financial services division to offer insurance products in India. The country’s insurance sector, previously dominated by government-owned firms such as the Life Insurance Corp. of India Ltd and General Insurance Corp. of India, was opened to private sector companies in 1999. According to current laws, foreign direct investment in insurance firms is capped at 26%. “We need an operating partner who would know the business," Chandra said. “We are evaluating various partners." Real estate developers have been aggressively diversifying, with the most recent rush being for mobile phone services. Chandra said he is looking to spend as much as $3 billion with partners to expand in the telecom business, should his firm win a licence to offer mobile telephony services.